The summer is over. Today is a rainy day. And, tomorrow I am back to school. This year the summer was blue. Intensive blue vacations. From the sky to the sea. From my mask and snorkel to my flippers. Everything was blue, blue, and blue… outrageously blue. After living in Cyprus for five years, it was good to return and reconnect with well-known faces. Not so many changes since my last visit in February: the sea and the sky remain blue, new restaurants at the old marina are now open; we are still driving on the wrong side of the road. I am a visitor and no longer a resident. Is that making my perception of the island different? I came back to familiar places and witnessed how life unfolds. Alagadi Beach. A young boy runs into Erkon’s little shop and hands him a white polka-dot black shoebox to be delivered to the daughter of the Turtle Paradise’s owner. He is dating her. The restaurant is next to Erkon’s shop and sometimes he hears their phone conversations. Erkon brings her the shoebox. Is the shoebox contain a gift? The young boy is already gone. Erkon comes back. They just broke up and the shoebox contains her belongings. A broken heart at the Turtle Paradise. It was last summer. I wonder where they are at a year later. So much had happen since last summer. I came back to places I thought I knew. I drove so many times on that road along the northern coast of the north of Cyprus. But this summer I got introduced to a new one further down. Off-map and untraveled. We don’t see, when we don’t look. This old coast road feels like a trip in the past. No traffic, countless potholes. Time has stopped. A few locals climb down to a hidden beach with turquoise blue water. A flock takes over the asphalt before the shepherd re-establishes orderliness, sort of. Then, there are those places I have been willing to go but never been. Done, now. And so the places I discovered only by wandering around and getting lost. So many of them. And you think you know Cyprus? No way! When you find your groove it is already time to fly back home. On the way, I stopped over in Greece. Thessaloniki looks retro. Lot of shoe stores, many pastry shops. Your eyes see what you look for, isn’t it? For a good reason I drove all the way down to Lefkada island. A five-hours drive through mountains for the promise of a dip into a turquoise-blue sea. No disappointment. 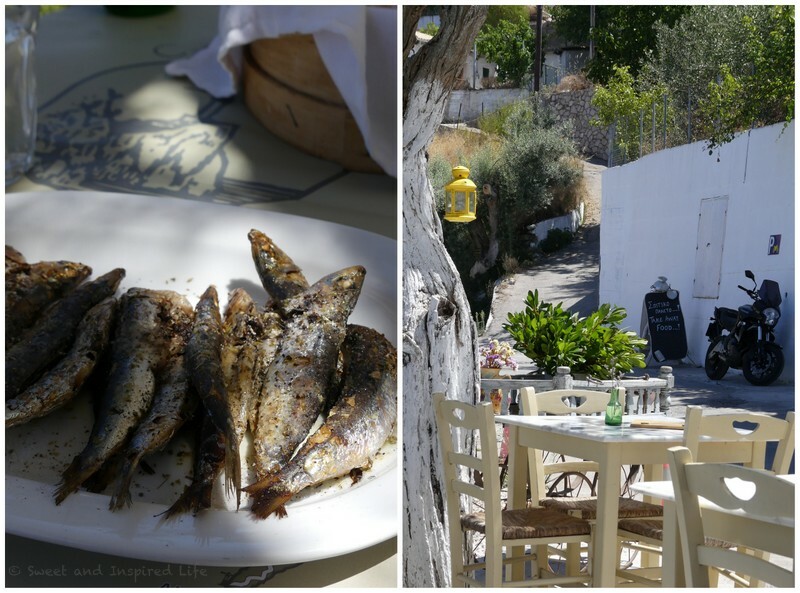 Grilled sardines and very garlicky tzatziki on the top of that. This time I really need to get home. Or maybe not. After a few sunny days in Paris, the weatherman forecast clouds and rain. I remembered I have not seen yet the temporary Picasso exhibition in Marseille so I packed my bag again. Picasso is a genius.